But the ungodly by their words and deeds summoned death; considering him a friend, they pined away and made a covenant with him, because they are fit to belong to his company. For they reasoned unsoundly, saying to themselves, "Short and sorrowful is our life, and there is no remedy when a life comes to its end, and no one has been known to return from Hades. For we were born by mere chance, and hereafter we shall be as though we had never been, for the breath in our nostrils is smoke, and reason is a spark kindled by the beating of our hearts; when it is extinguished, the body will turn to ashes, and the spirit will dissolve like empty air. Our name will be forgotten in time, and no one will remember our works; our life will pass away like the traces of a cloud, and be scattered like mist that is chased by the rays of the sun and overcome by its heat. For our allotted time is the passing of a shadow, and there is no return from our death, because it is sealed up and no one turns back. "Come, therefore, let us enjoy the good things that exist, and make use of the creation to the full as in youth. Let us take our fill of costly wine and perfumes, and let no flower of spring pass us by. Let us crown ourselves with rosebuds before they wither. Let none of us fail to share in our revelry; everywhere let us leave signs of enjoyment, because this is our portion, and this our lot. Let us oppress the righteous poor man; let us not spare the widow or regard the gray hairs of the aged. But let our might be our law of right, for what is weak proves itself to be useless. "Let us lie in wait for the righteous man, because he is inconvenient to us and opposes our actions; he reproaches us for sins against the law, and accuses us of sins against our training. He professes to have knowledge of God, and calls himself a child of the Lord. He became to us a reproof of our thoughts; the very sight of him is a burden to us, because his manner of life is unlike that of others, and his ways are strange. We are considered by him as something base, and he avoids our ways as unclean; he calls the last end of the righteous happy, and boasts that God is his father. Let us see if his words are true, and let us test what will happen at the end of his life; for if the righteous man is God's child, he will help him, and will deliver him from the hand of his adversaries. Let us test him with insult and torture, so that we may find out how gentle he is, and make trial of his forbearance. Let us condemn him to a shameful death, for, according to what he says, he will be protected." Thus they reasoned, but they were led astray, for their wickedness blinded them, and they did not know the secret purposes of God, nor hoped for the wages of holiness, nor discerned the prize for blameless souls; for God created us for incorruption, and made us in the image of his own eternity, but through the devil's envy death entered the world, and those who belong to his company experience it. Paul, an apostle of Christ Jesus by the will of God, and Timothy our brother, To the saints and faithful brothers and sisters in Christ in Colossae: Grace to you and peace from God our Father. In our prayers for you we always thank God, the Father of our Lord Jesus Christ, for we have heard of your faith in Christ Jesus and of the love that you have for all the saints, because of the hope laid up for you in heaven. You have heard of this hope before in the word of the truth, the gospel that has come to you. Just as it is bearing fruit and growing in the whole world, so it has been bearing fruit among yourselves from the day you heard it and truly comprehended the grace of God. This you learned from Epaphras, our beloved fellow servant. He is a faithful minister of Christ on your behalf, and he has made known to us your love in the Spirit. 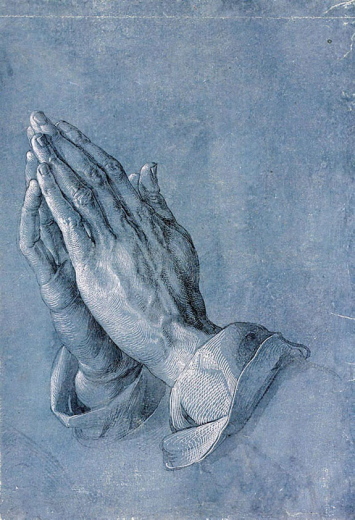 For this reason, since the day we heard it, we have not ceased praying for you and asking that you may be filled with the knowledge of God's will in all spiritual wisdom and understanding, so that you may lead lives worthy of the Lord, fully pleasing to him, as you bear fruit in every good work and as you grow in the knowledge of God. 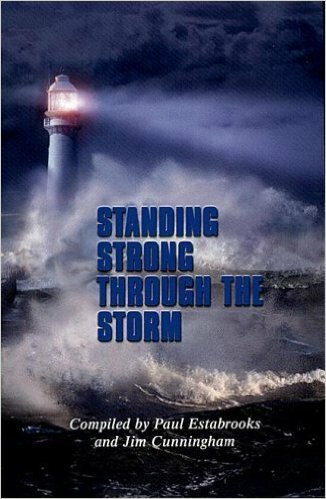 May you be made strong with all the strength that comes from his glorious power, and may you be prepared to endure everything with patience, while joyfully giving thanks to the Father, who has enabled you to share in the inheritance of the saints in the light. He has rescued us from the power of darkness and transferred us into the kingdom of his beloved Son, in whom we have redemption, the forgiveness of sins. One sabbath while Jesus was going through the grainfields, his disciples plucked some heads of grain, rubbed them in their hands, and ate them. But some of the Pharisees said, "Why are you doing what is not lawful on the sabbath?" 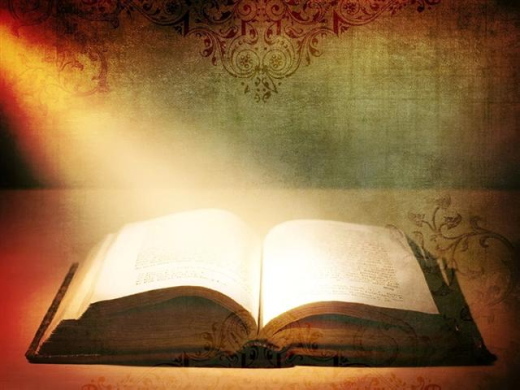 Jesus answered, "Have you not read what David did when he and his companions were hungry? He entered the house of God and took and ate the bread of the Presence, which it is not lawful for any but the priests to eat, and gave some to his companions?" Then he said to them, "The Son of Man is lord of the sabbath." On another sabbath he entered the synagogue and taught, and there was a man there whose right hand was withered. The scribes and the Pharisees watched him to see whether he would cure on the sabbath, so that they might find an accusation against him. Even though he knew what they were thinking, he said to the man who had the withered hand, "Come and stand here." He got up and stood there. Then Jesus said to them, "I ask you, is it lawful to do good or to do harm on the sabbath, to save life or to destroy it?" After looking around at all of them, he said to him, "Stretch out your hand." He did so, and his hand was restored. But they were filled with fury and discussed with one another what they might do to Jesus. Today the church remembers Dame Julian of Norwich, c. 1417. 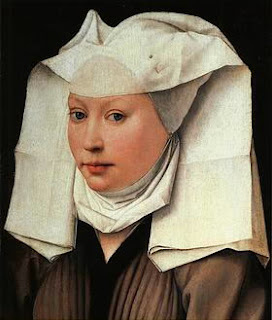 Dame Julian, or Lady Julian, so named from her gentle birth, was born in 1342. She claimed to be a simple, unlettered person; but though she was not learned, she was by no means uneducated. 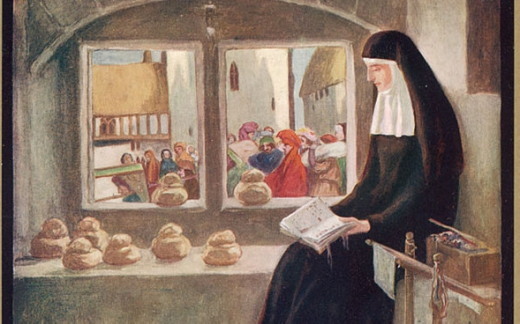 She knew her Bible and the teaching of the church, and she could express herself in vigorous English. It is possible, though there is no proof, that she became a Benedictine nun. 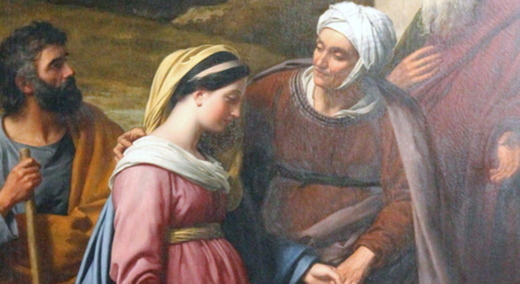 On May 8, 1373, at the age of thirty, she received a series of "Sixteen Shewings" that are recorded in the first version of her Revelations of Divine Love. These visions came in response to prayers for "three gifts from God": to have the mind of Christ's Passion, a bodily sickness, and the gift of three wounds" of contrition, compassion, and a "willful longing toward God." 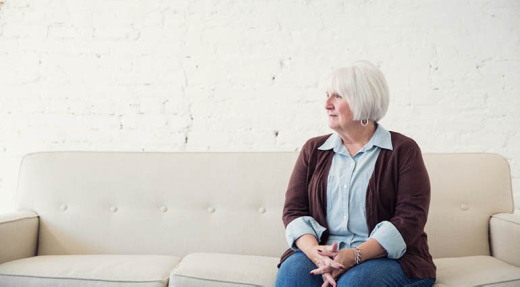 Some twenty years later her Revelations were expanded as a result of "inward teaching." After the experience of 1373 she retired, with a personal servant, to a hermitage in the churchyard of St. Julian, Conisford, Norwich, so situated that she could witness the celebration of Mass in the church and receive visitors. The date of her death is unknown. The latest document that mentions her is dated 1416. Her book reveals tender meditations on the Passion of Christ and the mystery of the Holy Trinity, combined with a keen intellect and shrewd common sense, and a concern for the salvation of Jews and pagans. Her remarkable sense of balance and proportion is exhibited in her Revelations. Morning Devotions with Cap'n Kenny - "A Power to Change the World"
I am always interested in last words, in knowing the last thing that someone said. How would they pull this off from a human standpoint? They were in no way ready for such a task. There were still things they didn’t understand. Their faith was weak. They had failed in their public witness and also in their private faith. After all, Simon Peter, their acknowledged leader, had openly denied the Lord. If Peter could be demoralized by the words of one woman, then how could he (and they) be expected to go into all the world and preach the gospel? How? They would do it with a power they had never known before, a power to change the world: “But you shall receive power when the Holy Spirit has come upon you” (Acts 1:8). It’s power to be a witness . . . power to share your faith . . . power to turn your world upside down . 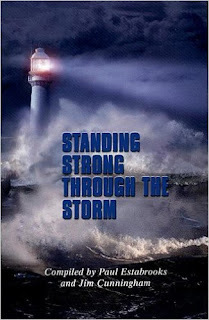 . . power to do what God has called you to do. The same power that was poured out at Pentecost is available to us today. The Bible has promised a dimension of power for every believer who would ask for it from the Lord, to be a witness for Him. Women of the Bible - "Abigail"
Girlfriends in God - "Time to Get Healthy!" Do you not know that your body is a temple of the Holy Spirit, who is in you, whom you have received from God? You are not your own; you were bought at a price. Therefore, honor God with your body (1 Corinthians 6:19, NIV). I have struggled with weight issues since I was a little girl. Part of my struggle is rooted in “fluffy” genes lovingly passed down to me through several generations of “fluffy” relatives. The remainder of my struggle is firmly rooted in the fact that I hate exercise, take medications that cause weight gain, enjoy eating, and sometimes use food as an emotional outlet and reward. I was a young adult and living on my own before I realized that part of the creation process included green things called vegetables. The motto in our family was, “If it ain’t fried, it ain’t right.” Gravy was a condiment and potatoes a staple at every meal. No bread? How can you have a meal without bread? And dessert was a necessity. Get the picture? Over the years, I have tried just about every diet I could find. I could always lose weight. I just could not keep it off. The day came when I threw in the towel. My name is Mary, and I am a Carboholic. I was done. I was burned out on diets and quick fixes. I didn’t want to be a certain size. I just wanted to feel good and to be as healthy as I could possibly be at this point in my life. My mouth literally fell open in shock. At the time, I was at least 50 pounds overweight and ate pretty much everything in sight whenever I felt the slightest twinge of hunger. How could I possibly be malnourished? The doctor went on to explain that I was indeed eating … but I was eating all the wrong things … at all the wrong times. In fact, I was dangerously low in several key vitamins and minerals. He handed me a small paper cup filled with a mixture of those vitamins and minerals to take before leaving his office and said, “If you were my patient in the hospital, I would not release you until some of these levels came up.” Now he had my undivided attention. God often works the same way. I spend more time working on ministry checklists than I spend in God’s Word. Prayer is more often a drive-through event than the sit-down-at-His-feet experience it should be. I give God the leftovers of my day when I should purposefully plan my time with Him. Rather than investing time in relationships, I follow friends on Facebook or text them to ease my guilt. I choose what is easiest and more convenient in ministry instead of choosing the best part of ministry, which is often messy and inconvenient. I often allow the hedges of protection to go untended, resulting in a lack of boundaries and margins in my life. I allow myself to become a malnourished Christian. God then lovingly but unquestionably gets my attention in several ways - a crisis that knocks every prop but Him out from under me, or an illness that rips every choice out of my hands and really makes me stop. I can then get the spiritual nourishment that really feeds my soul. Nourishment like sustaining time in the Word of God … significant, life-giving time in prayer … nurturing time with encouraging friends … opportunities to give myself away in service. After following the carefully laid out plan of my nutritionist for two years, I have lost 65 pounds, but that is not the best or most important news. I feel better than I have felt in many years! My blood work, EKGs, and BMI (body mass index) are all perfect. And the doctor has now pronounced me a well-nourished woman. I want to be a well-nourished Christian. I want to get my spiritual ducks in a row. I am seeking God on what I should and should not do. I am setting boundaries and asking my husband and accountability group to hold my feet to the fire in keeping those boundaries firmly in place. I am practicing saying “no.” I am bringing order to any areas of chaos. I am resting beside the still waters. And I know He will restore my soul just as He has restored my body in so many ways. How about you? Are you a malnourished Christian? Today is the day to take a step toward spiritual health! Father, I celebrate the amazing truth that You chose to live in me and that my body is Your temple. Please forgive me when I abuse that temple. And I am so sorry for the many times that I neglect You, Lord. Forgive me when I fail to spend time in Your Word and at Your feet in prayer. I need Your strength and power to practice Godly discipline. I want to become healthy in every area of my life – for my good and for Your glory. Evaluate your physical and spiritual health. Use the lists below to help you get started. What steps do you need to take to be healthier? Make a plan to get started today. Need help knowing how to become a healthy Christian? Check out Mary’s new E-Book, Fit for Life. Be sure to check out the FREE MP3s on Mary’s website. Connect with Mary through email or on Facebook. Daily Devotion May 8, 2017 "Don't Let Anyone or Anything Steal Christ's Life from YOU!" I'm listening to a commercial today about a new alarm system. "Don't Let Anyone or Anything Steal Christ's Life from YOU!" John 10:10 - (Jesus said) "The thief comes only to steal and kill and destroy; I came that they may have life, and have it abundantly." I'm listening to a commercial today about a new alarm system. They say it works better than any other. They say it is easy to install, easy to use, easy to have monitored, so that your home can be safe when you are gone, safe when you are asleep -- safe all the way around. If that could only be true. It seems that thieves are always one step ahead of our best inventions and our best intentions. That's what Jesus is getting at today. There are more ominous thieves than those who can break in and steal things that are precious to you. There are thieves that can steal what is more precious than gold, more precious than silver; they are the thieves that steal your heart and your soul away from the living God. Jesus actually talks about that when he says, "Don't fear the ones who can kill the body but not the soul, fear the one who can destroy both your body and soul in hell" (Matthew 10:28). Wow! I wonder if anyone thinks about that at all today. I wonder if anyone takes that Word of Jesus to heart today. Said another way, don't let anyone steal the abundant life that Jesus wants you to have in Him. So many are hell-bent on protecting their treasures of material wealth, but we are leaving the doors of our souls unlocked or, worse, wide open. When you seek to live life merely for personal pleasures, personal gains, your soul is wide open to the tempter. And by the time you realize that, it may be too late to reclaim anything of value. When you work yourselves to death as if you can build a treasure trove of security for retirement, that soul is often wide open to neglecting your spirit life all along. The tragedy of that is that you don't have control today or in retirement. Life has too many ups and downs beyond our control. But even if you have control today -- at least in your mind -- that's merely a sedative that dulls you to the end of all human sinful life: death. Death is this sinful world's constant; it's the last enemy; it's the final bargain we all lose when it comes to living life on our own, the greatest temptation of all. Jesus talks straight today. He says that in the face of death, there is a way, there is the truth, there is the life waiting for all who come to Him in repentance and faith. It's not a bargain; it's not sleight of hand. Jesus earned the right to say this to you and me when He died our death to give us His life. Don't let anyone tell you that there is anything in heaven and earth greater than this offer of life and salvation in Him. Thieves ... robbers ... or Jesus Christ? When it comes to your soul, He alone is not only abundant protection, He's abundant blessing. Dolly Madison es más que el nombre de la compañía que hace los Zingers y los donuts cubiertos con azúcar. Dolly Madison fue la esposa del cuarto presidente de los Estados Unidos y hasta el día de hoy sigue siendo una de las mujeres más populares de la historia de este país. Dondequiera que fuera, Dolly cautivaba a todas las personas con su manera de ser. No importaba si era alguien famoso o no, rico o pobre, hombre o mujer, todos los que la conocían se quedaban encantados con ella. Una vez alguien le preguntó cómo hacía para ejercer esa atracción sobre los demás, a lo que muy sorprendida contestó: "¿Qué yo atraigo a las personas? Yo no tengo ningún poder especial, ni tampoco deseo tenerlo. Lo único que hago es amarlas a todas por igual." No somos muchos los que podemos decir lo mismo sin que los demás se nos rían en la cara. Los cristianos conocemos a otra persona que amó a todos por igual: el Señor Jesucristo. Lamentablemente, no todos le respondieron con el mismo amor, e incluso fue odiado por los líderes de la iglesia, del gobierno y por otros que estaban celosos de él. ¿Cuál fue la razón por la cual Jesús amó con tanta intensidad y se sacrificó completamente? No lo hizo para tener poder ni para ser famoso, sino porque amó tanto al mundo que dio se dio a sí mismo para que el mundo pudiera ser salvo. Le invito a que juntos lo amemos a él, nuestro Salvador. It’s hard to bear the burden of uncertainty, always wondering what the next test will reveal. Will we have weeks, months, years, or decades before death separates us? But regardless of disease and diagnosis, each of us will die one day—things like cancer just bring our mortality to the forefront instead of letting it hide in the recesses of our minds. How can we best spend the time we’ve been given? 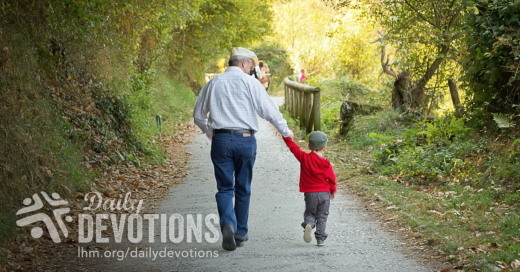 Share your thoughts with us at odb.org. We can face the reality of our own mortality because we trust in God. Cách đây vài năm, hai người thân của tôi được chuẩn đoán mắc bệnh nguy hiểm tới tính mạng. Với tôi, điều khó khăn nhất khi khích lệ họ trải qua những đợt điều trị đó là sự mơ hồ, không chắc chắn. Nhiều lúc tôi mệt mỏi mong chờ được nghe một kết luận dứt khoát từ bác sĩ điều trị, thế nhưng việc đó thật hiếm hoi. Thay vì giải thích rõ ràng, các bác sĩ luôn bảo chúng tôi kiên nhẫn chờ đợi. Thật khó để chịu đựng tình trạng mơ hồ như vậy, tôi luôn tự hỏi lần xét nghiệm tiếp theo sẽ có kết quả thế nào. Sẽ còn bao lâu, vài tuần, vài tháng, vài năm hay vài chục năm trước khi cái chết chia lìa chúng tôi? Tuy vậy, dầu đang khoẻ mạnh, không bệnh tật gì, thì một ngày nào đó mỗi người chúng ta cũng sẽ qua đời—bệnh ung thư chỉ làm cho cái chết xuất hiện rõ ràng trước mắt thay vì kín giấu. Làm thế nào chúng ta có thể sử dụng tốt nhất thời gian mình có? Chúng ta có thể đối diện với thực tế hữu hạn của đời người vì chúng ta tin cậy Chúa. Enséñanos de tal modo a contar nuestros días, que traigamos al corazón sabiduría (v. 12). En los últimos años, dos miembros de mi familia recibieron diagnósticos graves. Para mí, la parte más difícil fue la incertidumbre constante. Siempre espero con desesperación una palabra decisiva del doctor, pero, en vez de darnos claridad, a menudo se nos pide que esperemos. Es difícil soportar la angustia de la incertidumbre, y siempre nos preguntamos qué revelará la próxima prueba. ¿Tendremos semanas, meses, años o décadas antes de que la muerte nos separe? Pero, más allá de la enfermedad, todos moriremos algún día; cuestiones como el cáncer simplemente ponen en primer plano nuestra mortalidad. Al enfrentarme a los recordatorios aleccionadores de nuestra mortalidad, me encuentro orando las palabras de Moisés. El Salmo 90 dice que, aunque nuestra vida es como la hierba que se marchita y se seca (vv. 5-6), tenemos un hogar eterno con Dios (v. 1). 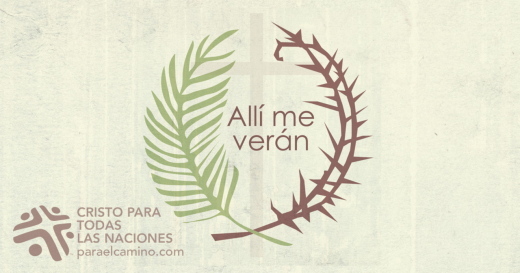 Al igual que Moisés, podemos pedirle a Dios que nos enseñe a contar nuestros días para que podamos tomar decisiones sabias (v. 12) y a hacer que nuestra vida breve lleve fruto, pidiendo que Dios confirme lo que hacemos (v. 17). El salmo nos recuerda que nuestra esperanza no está en ningún diagnóstico médico, sino en un Dios que es «desde la eternidad y hasta la eternidad» (LBLA). ¿Cómo podemos usar mejor el tiempo que nos ha sido dado? Podemos enfrentar la realidad de nuestra mortalidad porque confiamos en Dios. In den letzten Jahren wurde bei zwei meiner Familienangehörigen eine lebensbedrohliche Krankheit festgestellt. Das Schwierigste in der Zeit der Behandlung war für mich die ständige Ungewissheit. Ich will vom Arzt immer klare Worte hören. Aber so einfach ist es meist nicht. Anstatt uns Klarheit zu verschaffen, werden wir oft aufgefordert zu warten. Die Ungewissheit ist oft schwer zu ertragen, das ständige Bangen, was die nächste Untersuchung wohl zutage bringen wird. Sind es noch Wochen, Monate, Jahre oder Jahrzehnte, bis der Tod uns scheidet? Doch egal, wie die Diagnose lautet, wir alle müssen eines Tages sterben—Krankheiten wie Krebs bewirken lediglich, dass unsere Sterblichkeit auf einmal ein Thema ist, das wir nicht mehr verdrängen können. Beim ernüchternden Gedanken an unsere Sterblichkeit bete ich gern die Worte, die Mose gebetet hat. Psalm 90 sagt uns, dass unser Leben zwar ist wie Gras, das welkt und verdorrt (V.5-6), dass wir aber bei Gott eine Zuflucht haben (V.1). Wie Mose können wir Gott bitten, uns zu helfen, damit wir den Gedanken an den Tod nicht verdrängen, sondern kluge Entscheidungen treffen (V.12) und so leben, dass das, was wir tun, bleibenden Wert hat (V.17). Letztlich erinnert uns der Psalm daran, dass unsere Hoffnung nicht auf der ärztlichen Diagnose gründet, sondern auf dem Gott, der „von Ewigkeit zu Ewigkeit“ ist. Wie können wir die Zeit, die uns geschenkt ist, am besten zubringen? Teile deine Gedanken mit uns auf: unsertaeglichbrot.org. Wir können der Tatsache, dass wir sterben müssen, ins Auge sehen, weil wir Gott vertrauen. Au cours des dernières années, deux de mes proches ont reçu un diagnostic pouvant être fatal. Ce que je trouve personnellement le plus difficile dans le fait de les soutenir durant leurs traitements a été l’incertitude constante. Je suis toujours dans l’attente désespérée d’un mot définitif de la part d’un médecin, mais les choses sont rarement aussi simples. Au lieu de nous apporter des éclaircissements, on nous demande souvent de patienter. Le fardeau de l’incertitude est lourd à porter, car on se demande constamment ce que révélera l’examen suivant. Des semaines, des mois, des années ou des décennies s’écouleront‑ils avant que la mort nous sépare ? En dépit des maladies et des diagnostics, chacun de nous mourra un jour – des choses comme le cancer ne font que ramener notre mortalité à l’avant-scène au lieu de la laisser se cacher dans les coulisses de notre esprit. Face aux rappels de notre mortalité qui prêtent à réflexion, je prie selon des paroles que Moïse a lui‑même mises en prière un jour. Le Psaume 90 nous dit que, même si notre vie est comme l’herbe qui sèche (V. 5,6), nous avons un refuge auprès de Dieu (V. 1). À l’instar de Moïse, nous pouvons demander à Dieu de nous enseigner à compter nos jours afin de prendre de sages décisions (V. 12) et de faire fructifier notre courte vie par les oeuvres que nous accomplissons à son service (V. 17). En définitive, ce psaume nous rappelle que notre espoir ne repose pas sur le diagnostic d’un médecin, mais en un Dieu dont la bonté dure à jamais (PS 103.17). Notre foi nous permet d’affronter la réalité de notre mortalité. Протягом кількох останніх років у двох членів нашої сім’ї виявили захворювання, що загрожували їхньому життю. В цей період, коли вони лікувались, я відчайдушно чекала від лікаря якихось конкретних результатів. Але в житті рідко буває, коли все ясно і зрозуміло. Нас частіше просять просто чекати, замість того щоб дати чітку інформацію. Дуже важко нести тягар невизначеності. Завжди непокоїть питання: Яке нове випробування готує нам життя? Скільки нам залишилось днів, місяців чи років бути з дорогими нам людьми? Втім, всі ми одного дня помремо – справа навіть не в хворобах чи діагнозах. Такі речі як рак лише змушують нас гостріше сприймати реальність смерті. Знаходячись в таких обставинах, що нагадують про неминучість смерті, я почала молитись словами, що ними колись молився Мойсей. Псалом 89 говорить нам, що хоча наше життя немов трава, що в’яне та сохне (Пс. 89:5-6), ми маємо вічну домівку з Богом (Пс. 89:1). Як і Мойсей, можемо просити Бога вчити нас “лічити дні”, щоб приймати мудрі рішення (Пс. 89:12) і щоб наше коротке життя було плодовитим. Для цього потрібно догоджати Богу в усьому, що робимо (Пс. 89:17). Псалом нагадує нам, що треба надіятись не на лікарів, а на Бога, Хто “від віку й до віку”. Як найкраще використати даний нам час? Можемо сміливо дивитись смерті в обличчя, якщо довіряємо Богу. За последние несколько лет два члена моей семьи услышали от врачей тревожный диагноз. Для меня самым сложным в общении с ними во время лечения было чувство неизвестности. Я всегда хочу быть уверенной и знать точно, но в медицине так бывает редко. Вместо того чтобы внести ясность, нас часто просили подождать и потерпеть. Нести бремя неизвестности тяжело. Постоянно тревожат мысли о том, какими будут следующие анализы. Сколько времени осталось до того момента, как смерть разлучит нас: недели, месяцы, годы или десятилетия? Однако независимо от болезней или диагнозов все мы когда-то умрем. Явления вроде рака лишь выводят на передний план непререкаемую истину, которую мы предпочитаем забывать: мы смертны. Сталкиваясь с такими напоминаниями, я молюсь словами Божьего человека Моисея. В Псалме 89 говорится, что, хотя наша жизнь подобна траве, которая в один день цветет и засыхает (Пс. 89:5-6), для нас готов вечный дом у Бога (Пс. 89:2). Подобно Моисею, мы можем просить Бога научить нас так исчислять наши дни, чтобы стать мудрыми сердцем (Пс. 89:12), и сделать нашу короткую жизнь плодоносной, споспешествуя в добрых делах (Пс. 89:17). Этот Псалом напоминает, что нам следует надеяться не на врачей, а на Бога, Который «нам прибежище из рода в род». Как нам лучше использовать отведенное на земле время? Мы можем смотреть в лицо смерти, потому что надеемся на Бога.